If you’ve ever come across a girls’ volleyball outing with ties to Lewistown, there is a good chance Tara Taylor had a hand in it. The veteran coach at Fergus High School has been developing the volleyball craft in the Lewistown area for more than a decade. Taylor is in her 11th year as head coach and her 17th season as part of the program at Fergus. A native of Moore, Fergus has guided the Golden Eagles to nearly a half dozen Class A state championships, including back-to-back titles in 2010 and 2011. The entire varsity squad from last season’s banner year graduated, which would leave most programs scrambling to rebuild. That is not the case for Fergus, as Taylor pitted her junior varsity players against the lauded seniors in practice last year. Despite having only three seniors and no players who came into this season with varsity court time, Taylor’s team is still poised to contend this fall. The longevity of success associated with Fergus volleyball is a visual and visceral ode to Taylor’s commitment. Krause sees Taylor’s continued loyalty to all ages as the underpinning of the Golden Eagles’ sustained triumphs. Compensation for Taylor is seeing her girls blossom on and off the court. Nielson and her teammates fell in the third place match to Butte in the consolation bracket last weekend at the Electric City Invitational at C.M. Russell High. 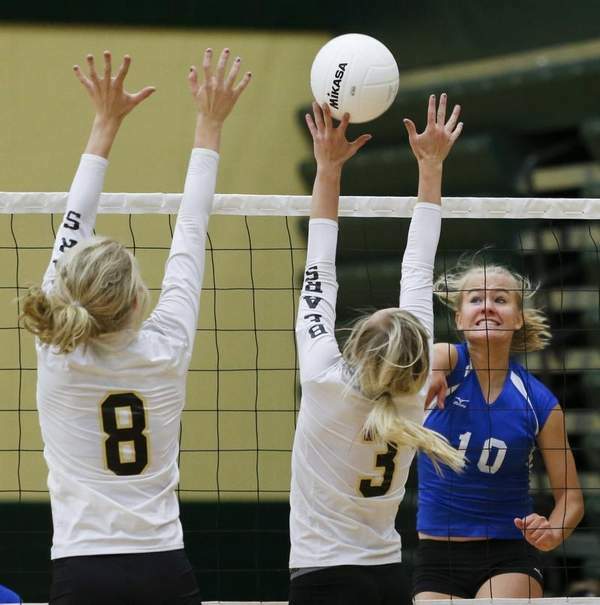 In pool play, Fergus earned splits with Class AA schools Bozeman and Missoula Sentinel. This year’s Class A state tournament is in Bozeman following the conference tourney in Belgrade. And with time, they’re primed to rise to Taylor’s track record of achievement. Reach Daniel Mediate at (406) 791-1492, or at dmediate @ greatfallstribune.com. Follow him on Twitter @GFTribDMediate.